We photographed the Chevrolet Impala pictured below last fall on a trip to the American southwest. The Impala was sitting on the outskirts of a small town located just a stone’s throw from the border between Nevada and California. We’re not experts on American cars – far from it – but a look at the Impala’s rear fascia (or what’s left of it) tell us that it was most likely built in 1962. 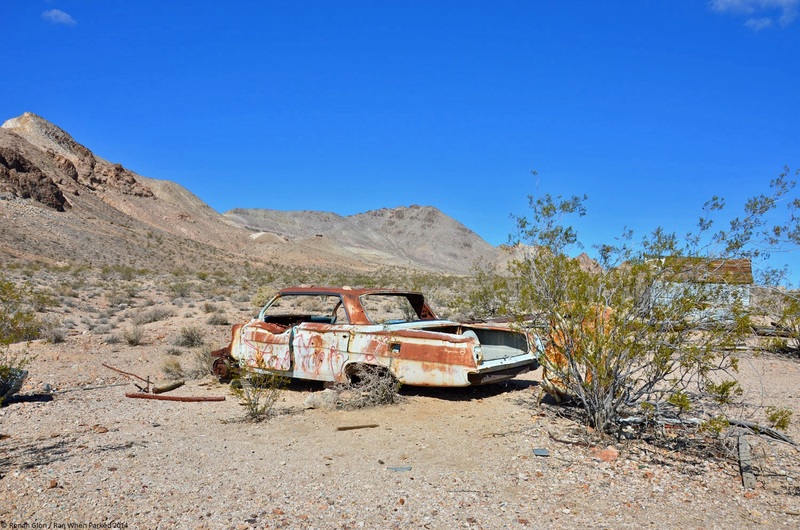 How the car ended up in the desert is a mystery – it could have been stolen, taken for a joy ride and dumped there decades ago or it could have been abandoned more recently after overheating in Death Valley. Regardless, nearly every usable part has been stripped from the Impala including the entire front end, the engine, the transmission, every piece of trim and the interior. The car was sitting next to a large pile of scrap metal so the missing body panels could still be on-site but we didn’t have time to rummage through it all. The Impala is a true testament to the southwest’s dry climate. It’s still fairly solid even after spending presumably decades out in the elements; we’ve seen late-model Mercedes-Benz Sprinters with considerably more rust running around Scotland. Tags: Chevrolet, Chevrolet Impala. Bookmark the permalink.